A year ago, he was playing in the Midwest League. On Sunday, outfielder Magneuris Sierra made his major-league debut for the St. Louis Cardinals. Sierra batted seventh and started in centerfield, and because the game lasted 14 innings, he made seven plate appearances. He reached base twice, on a single to leftfield (his first MLB hit) in the 6th inning and on a fielding error in the 14th inning. Known for his stellar defense even when he played in the Midwest League, Sierra also made a great running catch during the game. According to Statcast, he covered 79 feet in 4.4 seconds to snag an Emilio Bonifacio fly ball. 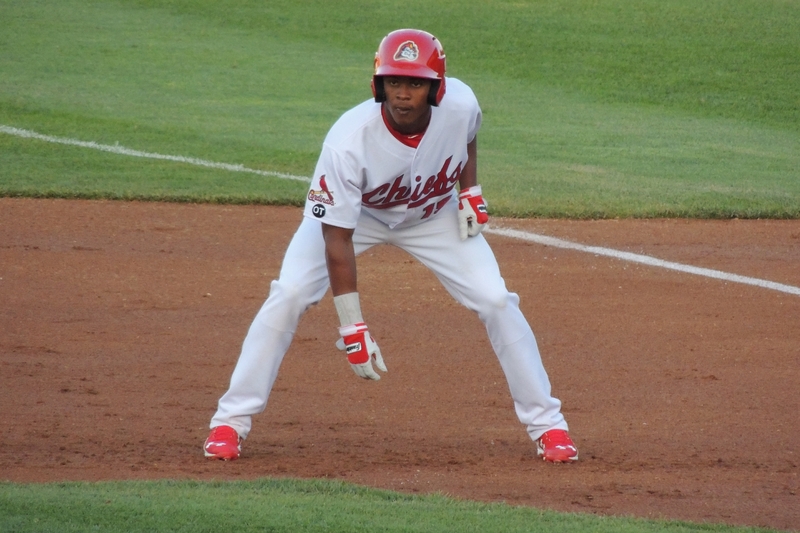 Sierra struggled in his first Midwest League stint, batting only .191 in 51 games with the Peoria Chiefs before finishing the 2015 season in the rookie-level Appalachian League. He was 19 years old that season. He did much better the following year when he spent the entire 2016 season with the Chiefs. He batted .307 with three homers, four triples, 29 doubles, 60 runs batted in, and 31 stolen bases in 122 games. He was a Midwest League All-Star that year. Sierra started this season in the High-A Florida State League, where he hit .272 in 20 games with the Palm Beach Cardinals. Sierra was 21 years and 30 days old on the day of his MLB debut. The last 21-year-old position player to make his MLB debut for the Cardinals was Albert Pujols, who also played for the Peoria Chiefs. Pujols batted .324 with 17 HR and 84 RBI in 109 games with the 2000 Chiefs, and was named the Midwest League MVP and co-Prospect of the Year. This entry was posted in 2016 All-Star Game, Appalachian League, Florida State League, Midwest League, Palm Beach Cardinals, Peoria Chiefs. Bookmark the permalink.